A mixture of the new and old recorded here by Estonian choir Vox Clamantis, this CD includes the world-recording premiere of Habitare fratres in unum and the largely plainchant And One of the Pharisees, which had its world premiere in California in 1992. There is a variety of Pärt’s music here: from the innocence-evoking Drei Hirtenkinder aus Fátima to the ode to a gittern, Sei gelobt, du Baum. (Google the latter via leones.de!). 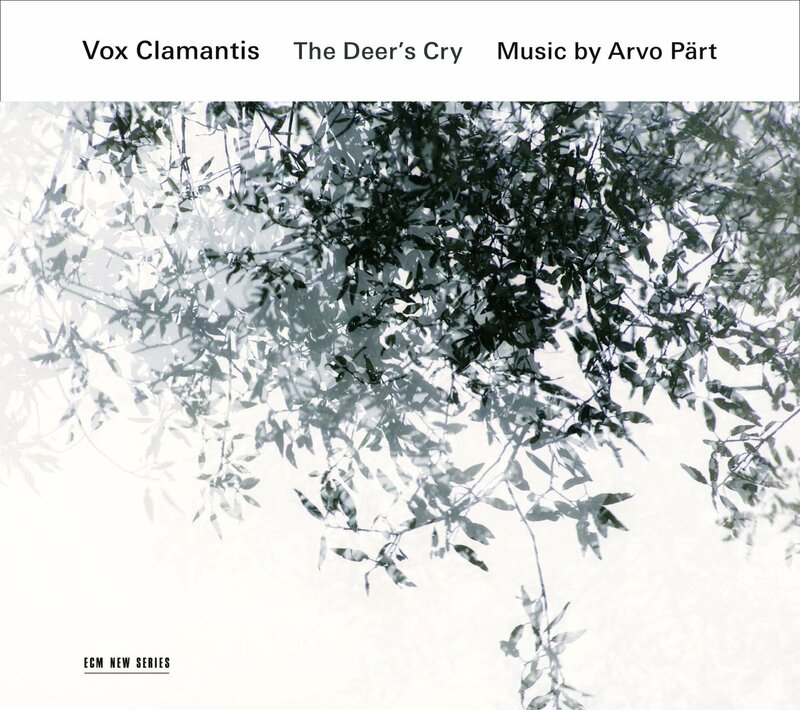 Serendipitously, I started my day reading St. Patrick’s fourth-century prayer, The Deer’s Cry, and the title track contains a purity I would compare to David Lang’s I Lie. The Alleluia-Tropus is different than my recording by Vox Clamantis with Sinfonietta Riga: at a decade’s distance, this a cappella version is 25 seconds longer and less dance-like, perhaps the liturgical pace being more fitting for the intercession of St. Nicholas of Myra. Most notable to me, however, was Summa, a tintinnabulous piece containing the Apostle’s Creed in Latin. 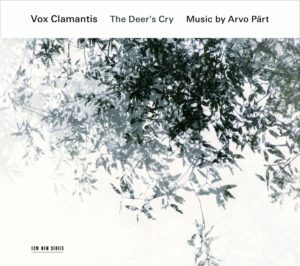 While it is recorded here a cappella, as originally written, I only have the string versions of it, which convey swells of movement (indeed, I made a little film with it accompanying a murmuration); the choral is more plodding and deliberate in its affirmation of belief – I could picture Joan of Arc reciting it defiantly, atop the pyre as she awaits the lighting of the wood. The CD ends with Gebet nach dem Kanon, a fitting closing prayer to the collection.The liner notes are Pärtesque: sparse, multilingual and presuming knowledge of his work and litur­gical music history. But if you enjoy looking up information (e.g. the Russian scriptures have different versification at times: Drei Hirtenkinder is about the West’s Psalm 8:2), there’s a wealth of enlightenment available. Artistic director Jaan-Eik Tulve has applied the 81-year-old composer’s personal tutelage faithfully, and Pärt devotees will be enrap­tured, the faithful and secularists alike. This review originally appeared on page 80 of the December 2016–January 2017 issue of The WholeNote magazine. You can watch the murmuration film to Summa here.